You'll find a 'Bookmark This' link at the base of each and every wack-it's your direct connection to instantaneous Bookmarking. 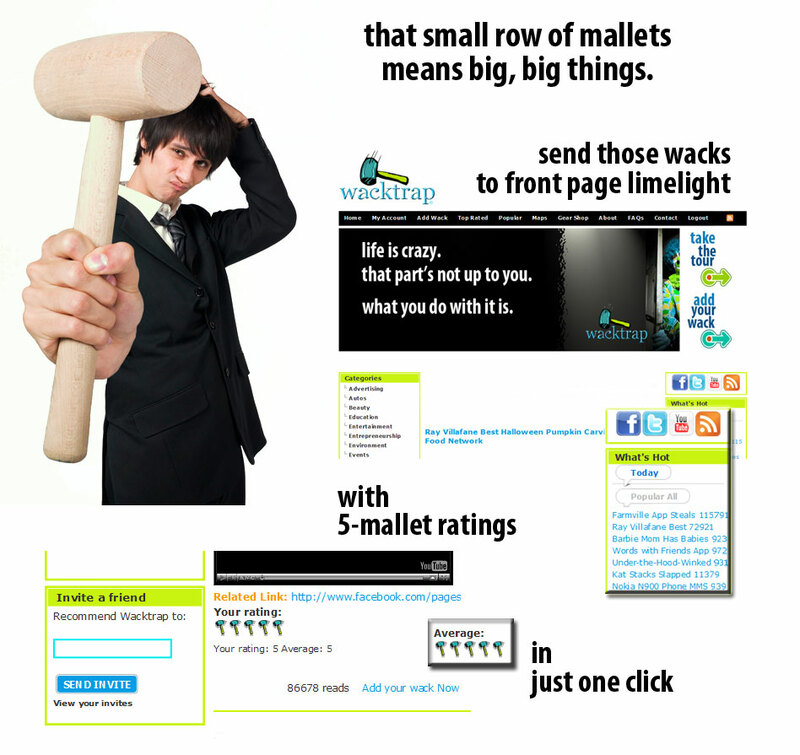 Once you're simply logged into your Wacktrap Account, you'll be Bookmarking in just one click. The better part: you'll always be able to find every one of your Wacktrap Bookmarks, in a permanent, organized list. And the best part: we keep everything for you, in one spot. Review or find your Bookmarks at any time-in seconds-all from your own, dedicated Bookmarks tab. And all from your Wacktrap Account. It's a whole lot easier than searchin' that desktop. We'll save every one of 'em for ya in 'My Account.' As many as you need. So you'll never lose your way. But what if you no longer need that wack at your fingertips? Remove it just as instantly, with one click: 'Unbookmark This,' and we'll make it disappear in a flash. So you'll have lots of room for those new ones without wadin' through the old.